The backlid keyboard, precision touchpad and 2.6 GHz processor give you the best experience in any computing task, even in gaming. 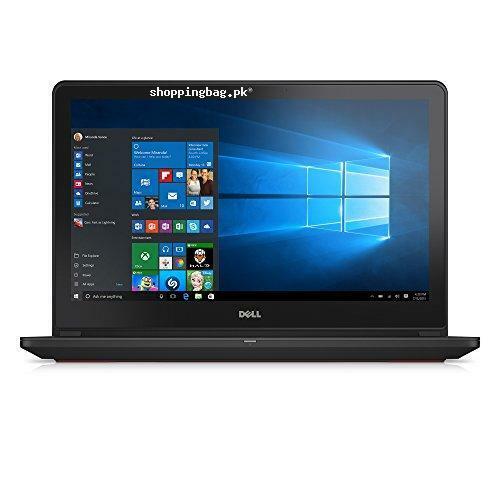 You can find the best Dell laptop core i7 price in Pakistan from here. 15.6 Inch FHD (1920 x 1080 pixels) LED-lit Truelife Screen. Light up your game:Don t miss a stroke with a backlit keyboard that lets you enjoy your gaming or computer time even at night. And a precision touchpad gives you responsive, accurate gesture support. Windows 10 Operating System; Matte Black featuring Red Chassis. Available with Windows 10 Home or Windows 10 Pro.